Crafts, snacks, and cozy autumnal pleasures? They're headed for a host of California towns (plus Las Vegas, too). Get your cozy decorating on at this mondo falltime gathering of crafters and artisans. Where is it heading? San Mateo, Del Mar, and a host of Golden State cities. AUTUMN'S COZY COMPLEMENTS? They can spice up a room, literally, and add a certain domestic-sweet touch to any home. From apple-y scents to sweet pumpkin candles to all manner of baked breads, the traditional season of simple pursuits, from reading while burrito'd in a soft blanket to sitting down to an hour of crafting, appeals. And while craft-oriented, art-fun fairs thrive throughout the year, there's nothing that's quite the equivalent of the major, traveling-here-and-there Harvest Festival. This isn't a harvest festival, as in a place to buy a real, patch-grown pumpkin, but rather a crafts, arts, foods, and more affair that travels throughout California and into Las Vegas, too. A lot of the event is about helping attendees prepare for the holidays, whether that involves the buying of gifts or purchasing a host of snacky edibles to have around the house for drop-in visitors. But much of the Harvest Festival, which celebrates its 45th anniversary in 2017, is all about autumnal details and delights. THE 2017 SCHEDULE IS UP, with Las Vegas serving as the first stop (from Sept. 8 through 10) and Pomona rounding it out from Dec. 1 through 3. 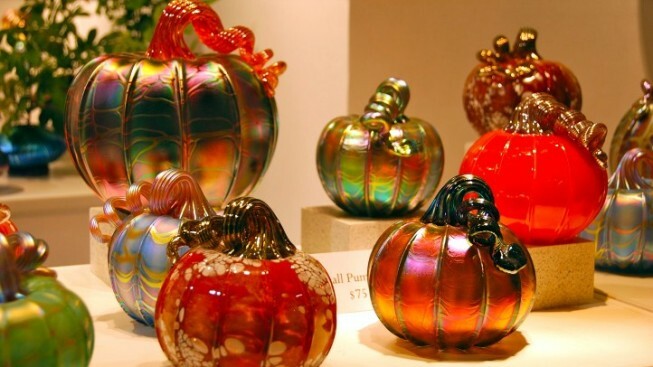 Ventura, Del Mar, Pleasanton, San Mateo, Sacramento, and San Jose are the other cities that will host the festival, which includes "over 24,000 handmade American arts and crafts." Clothing, jewelry, toys, and other goods lovingly made are on display and for sale, and the chance to chat with the person who created the earrings or painting you love is pretty high (they're quite often in the booth). If you're feeling fall, even before its arrival, know that one of the biggest craft-cool bashes on this coast is on the way, to, fingers crossed, a spot pretty close to you.